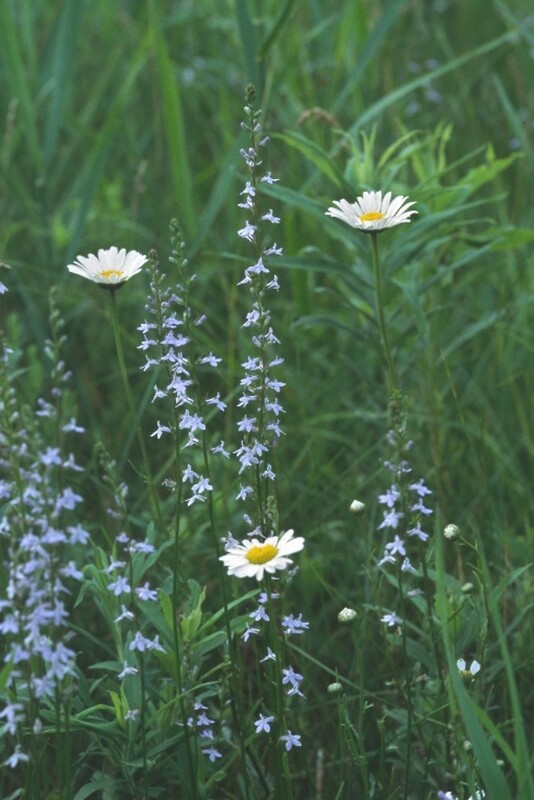 The pale-spiked lobelia has white or pale blue flowers and is more tolerant of dry conditions than either red lobelia or great lobelia. There are three varieties present in New England. 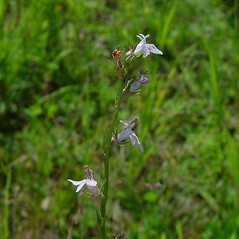 In one (Lobelia spicata var. spicata) the corolla and anthers are light blue. In another (L. spicata var. campanula) the anthers are white and the corolla is dark purple-blue. The final variety (L. spicata var. 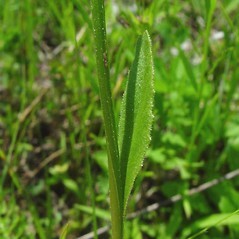 hirtella) has short, stiff, bristly hairs on the stem, bracts and calyx lobes. This variety is found only in Maine, New Hampshire and Vermont. petals 6-8 mm long, floral tube nearly as long as sepal lobes and prominently inflated in fruit, and leaf blades +/- ovate-oblong (vs. L. spicata, with petals 7-11 mm long, floral tube shorter than sepal lobes and scarcely inflated in fruit, and leaf blades +/- oblanceolate). 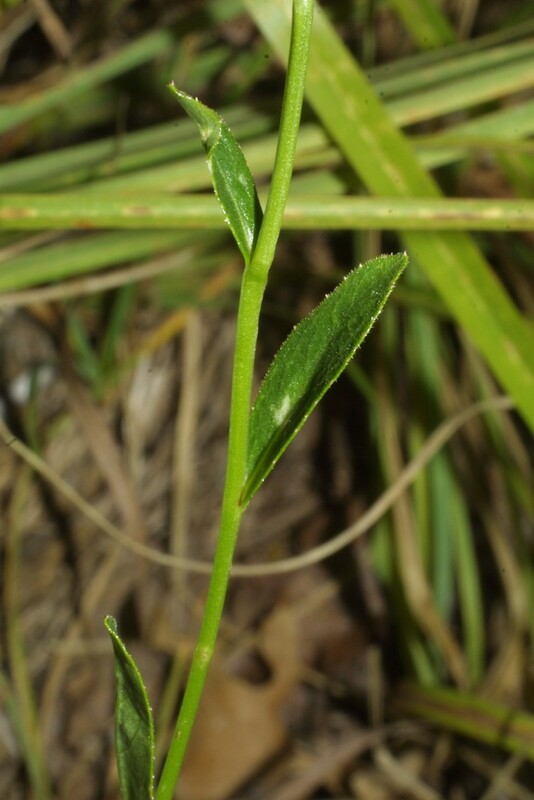 Lobelia spicata Lam. var. 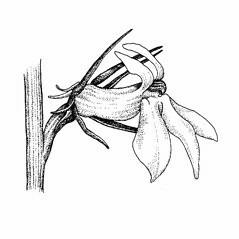 spicata is known from CT, MA, ME, NH, RI, VT.L. 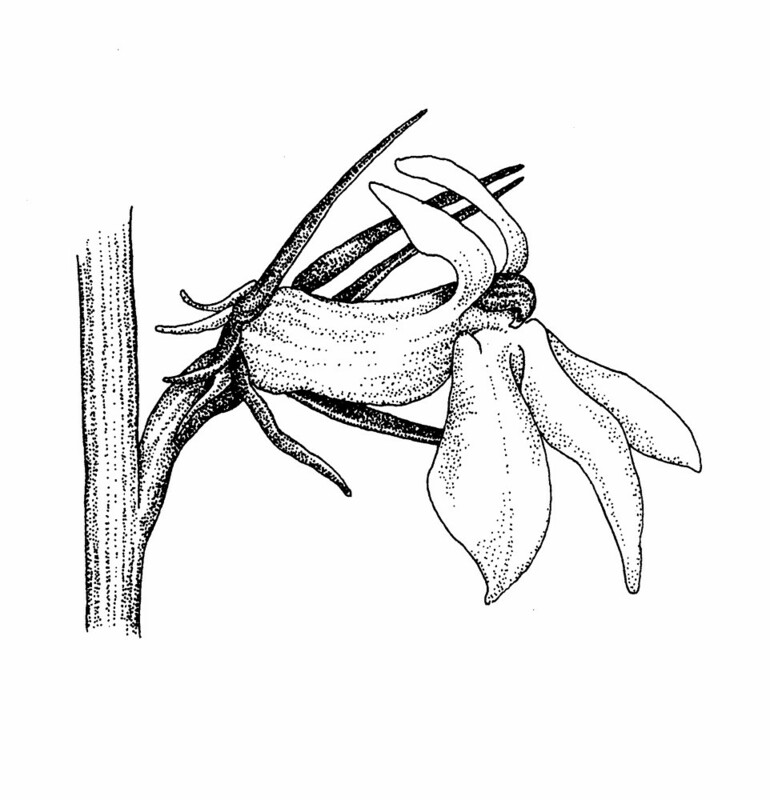 spicata var. 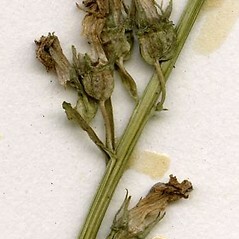 campanulata McVaugh is known from CT, MA, ME, NH.L. 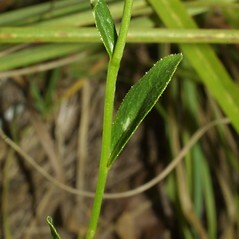 spicata var. 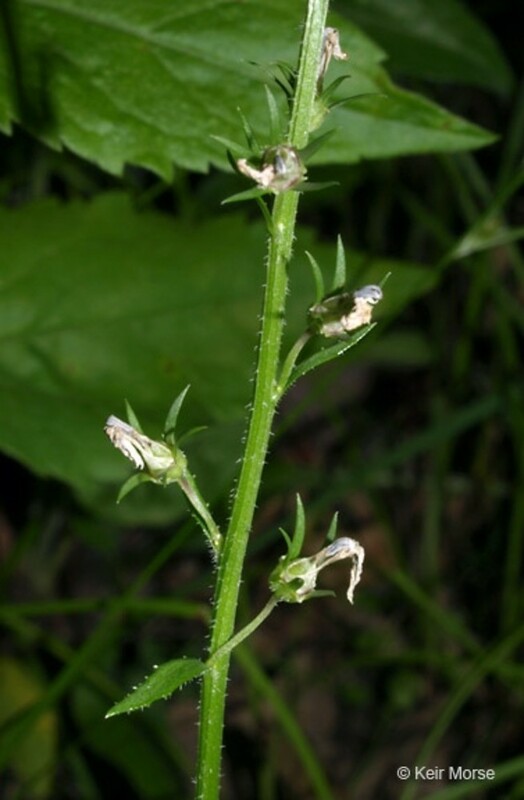 hirtella Gray is known from ME, NH, VT.
pale-spiked lobelia. 6a. 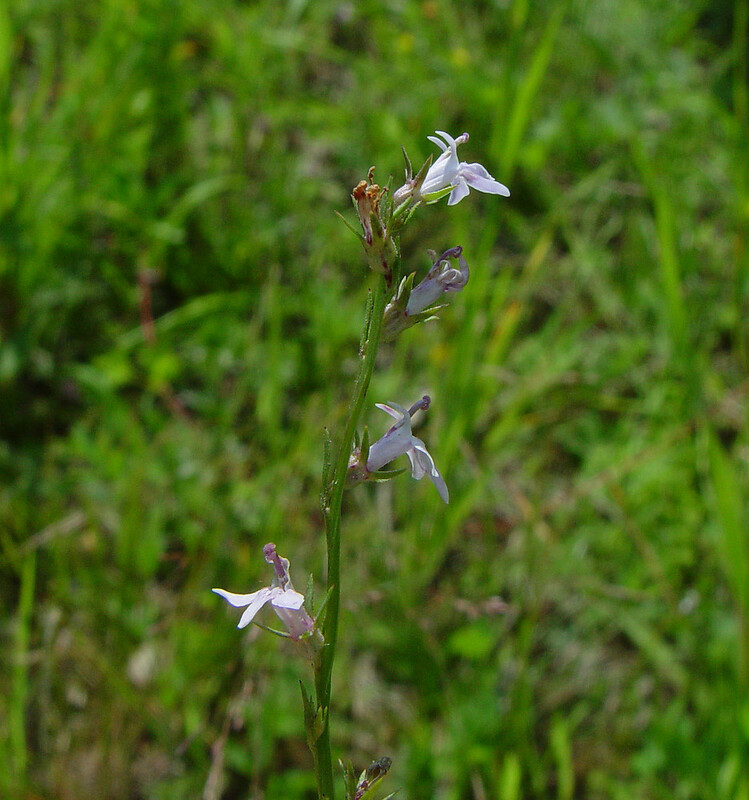 Lobelia hirtella (Gray) Greene; 6c. 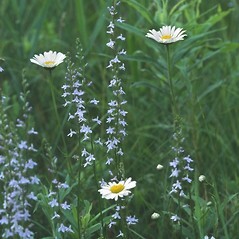 Lobelia bracteata Small; L. spicata Lam. var. originalis McVaugh • CT, MA, ME, NH, RI, VT. Fields, openings. 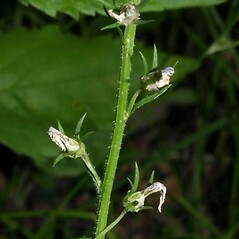 Variety hirtella is known from ME, NH, VT. 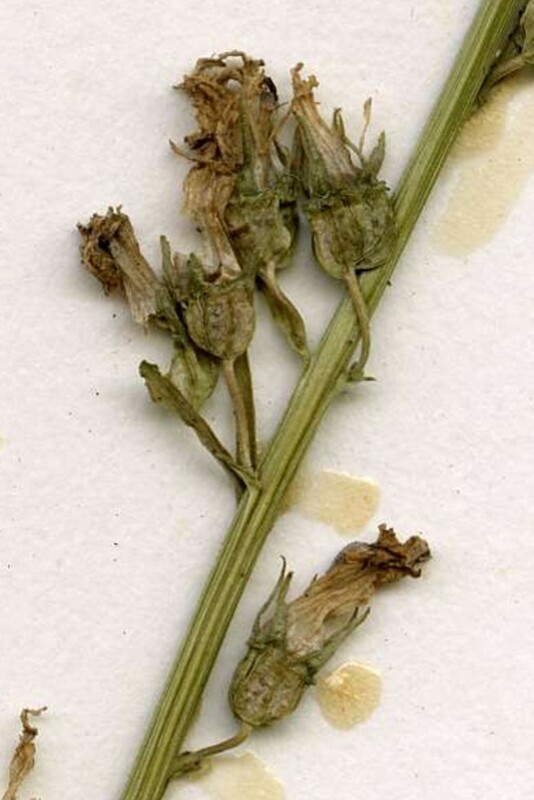 Variety campanulata is known from CT, MA, ME, NH; also reported from RI by Kartesz (1999), but specimens are unknown. 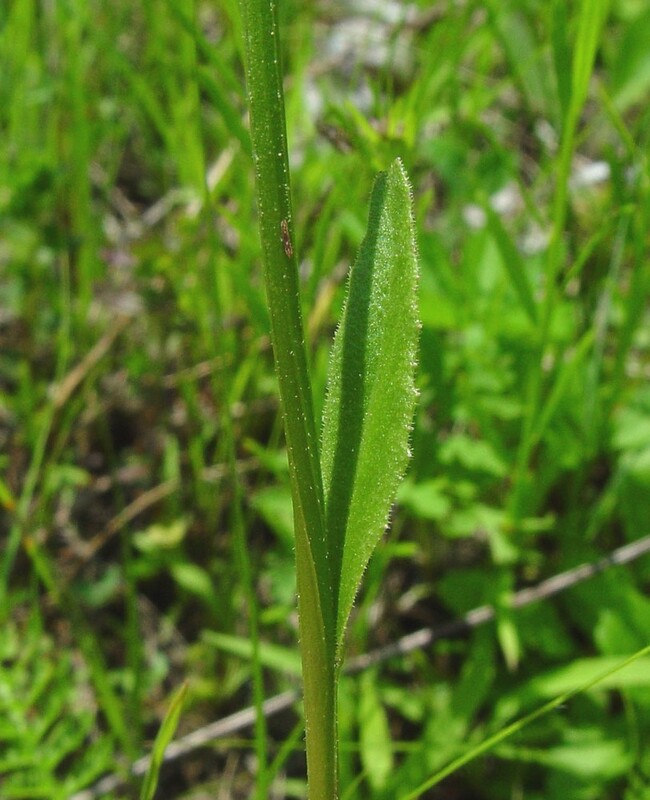 Variety spicata is known from CT, MA, ME, NH, RI, VT.